This case study looks at actions taken by Sasol to reduce water loss, improve municipal water infrastructure, and improve access to water for the local community in the Zamdela area of the Metsimaholo Local Municipality. The Metsimaholo Local Municipality (MLM) is located in Sasolburg in Northern Free State. The municipality has a total population of approximately 160,000 and close to 38,000 households. MLM supplies Sasol Sasolburg Operations with about 4.3 ML/day of potable water. The water supplied to Sasol’s South African operations comes from the Integrated Vaal River System (IVRS). South Africa is a water stressed country facing one of its worst droughts in decades. Besides that, communities continue to experience high losses through aging and poorly maintained infrastructure and improper asset management. The second edition of the National Water Resources Strategy (NWRS2) implemented by government through the Department of Water and Sanitation (DWS) has identified the implementation of water use efficiency, conservation and water demand management as a core strategy to ensure sufficient water to meet South Africa’s needs going into the future. According to the Water Research Commission (WRC), in view of water scarcity, it is essential that water loss measures must be implemented immediately in all water use sectors, specifically municipalities, especially in terms of the need to provide for the growing water demands of new socio-economic development. In order to improve the current situation, the water sector must have a clear indication of the current status of non-revenue water in South African municipalities, more specifically what the actual water losses are and how they are split between physical leakage (real losses) and commercial losses (apparent losses). It is in this regard that Sasol, one of the biggest users of water in South Africa for business-related activities, decided to partner with the Department to collaborate on what is called the DWS-SASOL collaboration – Zamdela Water Loss Reduction Project. This project was encouraged by similar operations in water partnership under the umbrella of the United Nations (UN). In early 2017 the Metsimaholo Local Municipality had to implement restrictions where water supply to this low-income area was restricted using intermittent supply (closing valves). In some cases, supply was restricted by 70% and the communities began approaching Sasol to provide water tankers. In July 2015 Sasol entered into a water conservation/water demand management (WC/WDM) partnership project with MLM in collaboration with Rand Water (as implementing agent), The German Development agency (GIZ), and the Department of Water and Sanitation (DWS). The DWS contributed R4 million, Sasol R2.9 million and GIZ 60,000 Euros. Part of the project included the installation of pressure controllers to reduce pressure from 22:00 to 5:30 as opposed to introducing intermittent supply of water through the closure of valves. Through this intervention this community has continuous access to water and the municipality benefited by reducing demand to this area by 23%. Some members from this community are employees of Sasol. Metsimaholo Local Municipality and WRP Consulting Engineers. Rand Water, The German Development agency (GIZ) and The Minister of Department of Water and Sanitation (DWS). Improve access to water for the local community in the Zamdela area of Metsimaholo Local Municipality through the implementation of Water Loss Reduction interventions. Reduce water loss and improve municipal water infrastructure in the Zamdela area of Metsimaholo Local Municipality. Communities where employees of Sasol live. Engage with stakeholders and Taking Action. The first phase of this project involved establishing a baseline for the municipality’s demand through the installation of bulk zonal meters and loggers. This phase also included undertaking an assessment of water loss in the greater Zamdela area. The excess demand in the township was found to be close to 27%. The project team identified several interventions to help MLM reduce losses by 15%, as per the Vaal Reconciliation targets. The second phase of the project, which involved advanced pressure reduction, commenced in July 2016. It was at this point that Sasol appointed WRP Consulting Engineers to implement technical interventions identified in phase 1. The first step taken by WRP Consulting was to establish the baseline for water demand and losses in the greater Zamdela region. This was done by understanding the water supply system in the greater Zamdela area, which was sectorized into 7 supply zones. The zones were then logged. The Minimum Night Flow (MNF) and the average flow (Avg) were determined to be 122 m3/h and 148 m3/h, respectively. The MNF/Avg ratio was determined to be 82% which indicates very high leaks within this zone. The ratio should be less than 20% in a well-managed zone. Advanced pressure management then was implemented in the zones of Zamdela and Harry Gwala by installing pressure reducing valves together with controllers at the main zones. The pressure controllers were set to reduce pressure from the fixed pressure setting to a low pressure setting between 22:00 and 05:30 daily. Water use audits were conducted on the MLM’s major consumers (mainly hostels and schools). For the top 12 water consumers, the municipality installed meters in order to correctly bill these consumers. These meters were then logged and showed that 8 of these top consumers had high water losses equating close to 1000 m3/day. Exploring supplementary funding options from private sector and/or NGOs. Training and skills transfer: Formal training was provided to the Metsimaholo Local Municipality on the operation and maintenance of control valves. A three-day training course was presented to seven delegates of the Metsimaholo Local Municipality from 30 May 2017 to 01 June 2017. The course covered the basic operation and maintenance of control valves and gave delegates practical and theoretical exposure to this specialized field. The Minimum Night Flow (MNF) and the average flow (Avg) were determined to be 122 m3/h and 148 m3/h, respectively. The MNF/Avg ratio was determined to be 82% which indicates very high leaks within this zone. The ratio should be less than 20% in a well-managed zone. The focus of attention for savings was in the Zamdela and Harry Gwala zones based on the high MNF/Avg ratio. The Minister of Department of Water and Sanitation (DWS) has made an appeal to the private sector to support municipalities to achieve the water conservation and water demand management (WC/WDM) targets. While the private sector would typically fund such beyond the fence-line initiatives through their corporate social investment budgets, this level of funding is inadequate given the scale of the municipal infrastructure challenge. It was proposed that alternative mechanisms needed to be developed to attract private sector investment into the public water sector. The inclusion of Water Offsetting as an emerging policy in the National Water Resource Strategy Second Edition (NWRS2) was raised as a potential solution. The DWS has subsequently proposed a partnership approach to address this challenge and is developing a water stewardship policy as an alternative mechanism. The Minister of Department of Water and Sanitation (DWS), through the National Water Resource Strategy Second Edition (NWRS2) and the Water Policy Review, make reference to the development of a water offsetting framework as an emerging policy in South Africa. improving water access through optimizing water use, reducing water loss, and promoting demand management. Current water partnership projects are generally supported through Corporate Social Investments (CSI) by the private sector. Considering the scale of the water challenges faced by municipalities the private sector will require a business case to make such investments. Offsets therefore create an incentive for the private sector to invest in public infrastructure towards addressing a major water risk posed by water insecurity. Water offsets can also help companies to align to the targets of the United Nations Sustainable Development Goal 6 (Ensure availability and sustainable management of water and sanitation for all). An offset mechanism would allow business to collaborate with other water users such as a municipality in responding to a shared water challenge of improving water use efficiency in the same catchment within which all the users operate. Sasol is therefore of the opinion that mechanisms can be structured whereby the private sector can support municipalities achieve their WC/WDM targets. A 23% reduction in demand was achieved in the greater Zamdela area i.e. demand was reduced from 15 006 m3/day to 11 577 m3/day. This equates to a R9.4 million/annum saving based on the 2017 Rand Water tariff. In order to ensure that the Municipality was capacitated to maintain and operate the installed pressure reducing valves a decision was taken to train MLM employees. A three-day control valve training was given to 6 MLM employees. The success of the Metsimaholo Local Municipality water loss reduction project demonstrates the case for private sector investment beyond the factory fence-line. Significant water savings were achieved through the implementation of advanced pressure management in the Zamdela zone. Several jobs were created through the roll out of this program. A total of 529 employment days were created on the project. Water savings of over 1.2 million m3/annum have been achieved through advanced pressure management in Zamdela and Harry Gwala. Maintenance and operational improvements have been implemented and commissioned at the Harry Gwala Reservoir Complex. Large consumer meters have been installed which will assist the municipality to accurately meter and bill large consumers in Zamdela. Training has been provided to municipal staff on the operation and maintenance of control valves. Flow logging has been conducted at large consumers to confirm which consumers have excessive leakage in order for additional programs can be implemented to address this leakage. 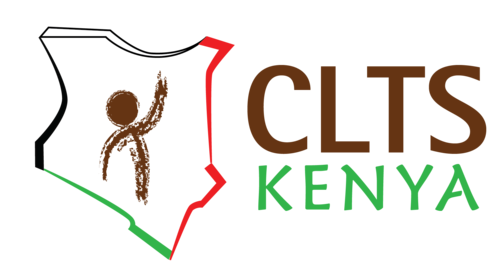 The CLTS Monitoring System is developed primarily to support offline / online data entry of sanitation projects, and to improve reporting through simple visual elements. 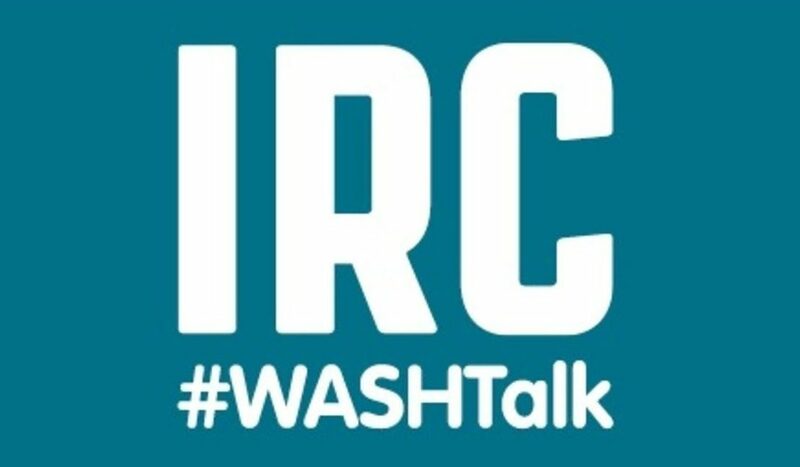 Tools and guidance for providing WASH services that last.